Flipping through my squeeze’s most recent copy of Esquire, I actually came across a delicious-sounding recipe in the “Eat Like a Man” feature. I’m not sure how bucatini with brown butter, spinach, walnuts and capers is necessarily “manly” — maybe because the recipe comes from Chef Joey Campanaro of New York’s The Little Owl. 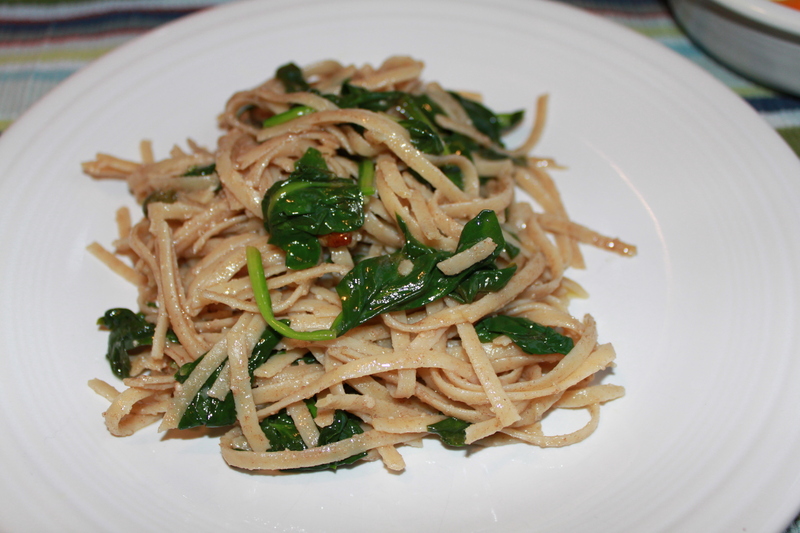 I chose whole wheat linguine instead of bucatini, but maybe next time I’ll look a little harder. Other than that, I followed Chef Campanaro’s directions as best I could! 1. 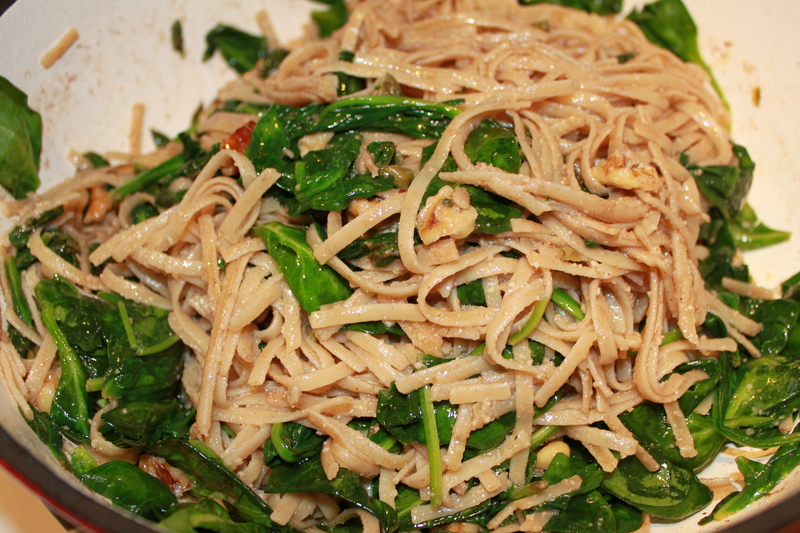 Cook pasta to al dente according to directions in heavily salted water. 2. 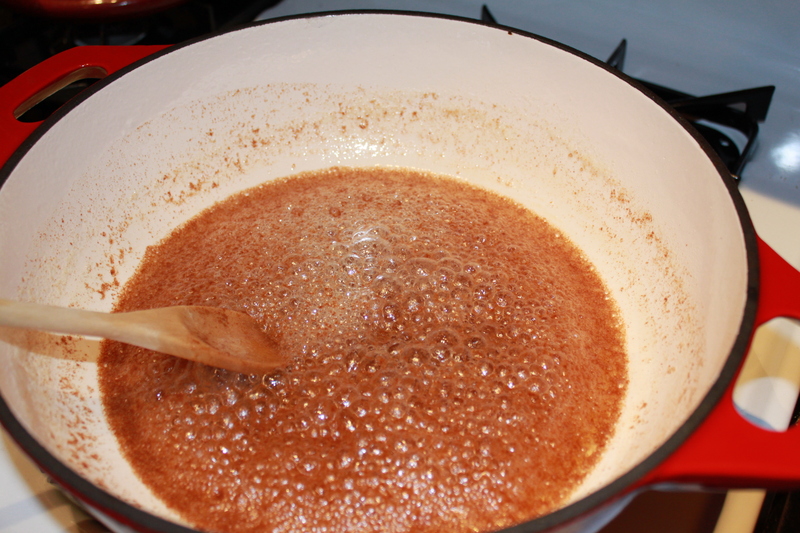 In a small stockpot with tall sides (I used my trusty enamel pot that I use for everything now), melt 3/4 lb. butter over medium heat (three sticks!). According to Campanaro, all of the water has to be cooked out of butter for it to brown, but you have to make sure you don’t let it burn. 3. 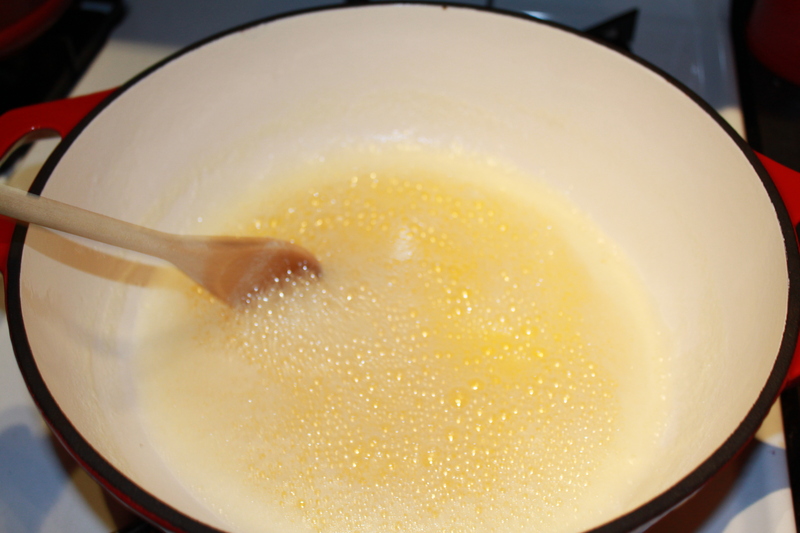 The butter will get really foamy as it cooks. Using a wooden spoon or spatula, stir the butter in a wave-like motion to help the foam subside. Do this for eight to 10 minutes, until the butter is a nice amber color. 4. Keep cooking the butter for a few minutes more. You’ll notice it looks kind of “sandy” as it browns and some bits may start to stick to the bottom of the pan, which is OK.
Campanaro says “once you get the butter where you want it” add the juice of one lemon to stop the browning. I’m not sure where I’m supposed to want it to be, but when it seemed sufficiently brown, I added the lemon juice. This made the butter foam like crazy, then quickly reduce to a calm brown pool. 5. Lower the heat and add capers and walnuts, letting their flavor infuse the butter for a minute, then turn off heat completely. Maybe he didn’t want the tangy capers to overpower the dish, but we love capers and have decided next time I’ll add a lot more. 6. Immediately add 5 oz. 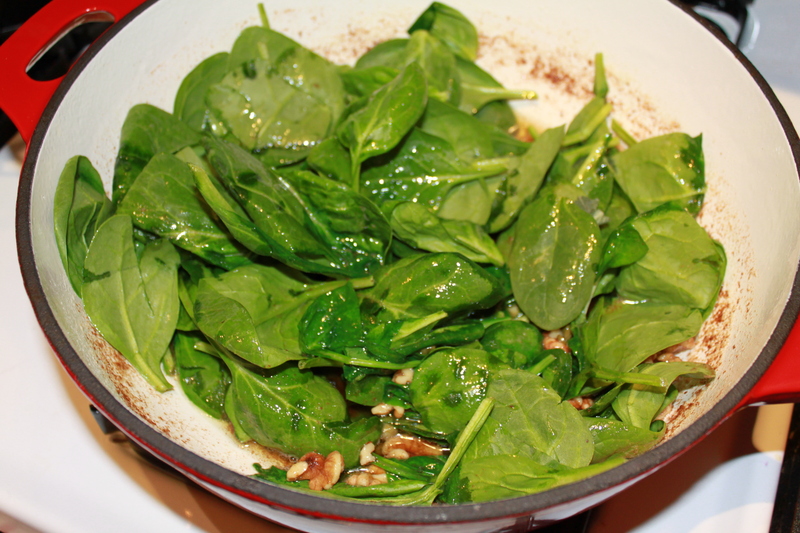 baby spinach (I threw the whole 10 oz. bag in though…) and four torn sage leaves, tossing to wilt. 7. Add drained pasta and cheese, then toss to coat. Season with pepper. Entry filed under: Main Dish.